More fan service than story. In the Beginning isn’t so much a movie as it is fan service for Babylon 5 fans. Is it fun to see Captain Sheridan and crew during the Earth-Minbari War? Sure. Is it a good story? No. 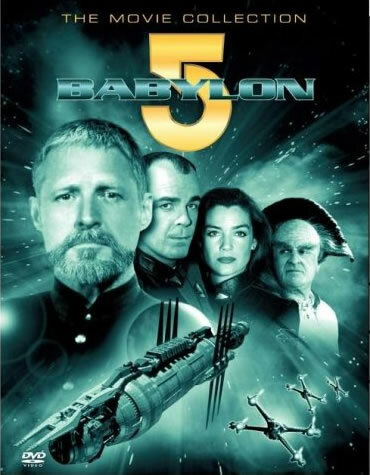 Despite its title, this is not a good place to start if you’re new to the Babylon 5 franchise. The film begins with Londo Mollari as emperor on Centauri Prime, which only happens late in Season 5 of the show. He tells the story of the Earth-Minbari War to several Centauri children. But the film doesn’t adhere to this frame narrative rigorously. How would Londo have known about closed door meetings in Earth Force, or what happened on the bridge of an Earth vessel? How did Londo know that Minbari souls reappear in humans? Wasn’t that a secret? The story itself suffers continuity problems. During the war, Commander Sheridan apparently worked with G’Kar and Dr. Stephen Franklin, even though there is no indication from the main series that those characters had even met each other prior to Babylon 5. Moreover, the Minbari bring Sheridan aboard a Minbari cruiser with, of all people, Delenn. So these two people, who were fated to fall in love, met each other during the war and never knew it! I thought the whole reason the Minbari captured Sinclair at the Battle of the Line was because the Minbari had had no contact with humans and were curious. The movie itself reuses clips from many previous episodes. It does so in ways that make sense, and the clips are integrated seamlessly into the rest of the film. It was nice to see Commander Sinclair again, even if only as a clip from Season 1 of the show. Still, the reuse of clips does create the feeling that you’ve already seen half of this movie before. Ultimately, my understanding is that this movie was made because TNT wanted a made-for-TV movie to air alongside the final season of Babylon 5. Apparently, In the Beginning was an attempt to introduce people to some of the show’s mythology. That’s a noble goal, but I can’t believe that this film made much sense to people who hadn’t followed the series.